This contemporary silver tie clip can be custom engraved on both sides with a name, date or initials. 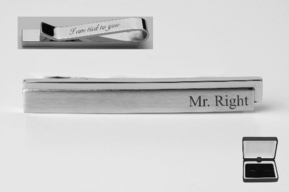 Personalized tie clips make great wedding gifts for your best man and groomsman. The brushed stainless steel finish looks stunning when engraved. 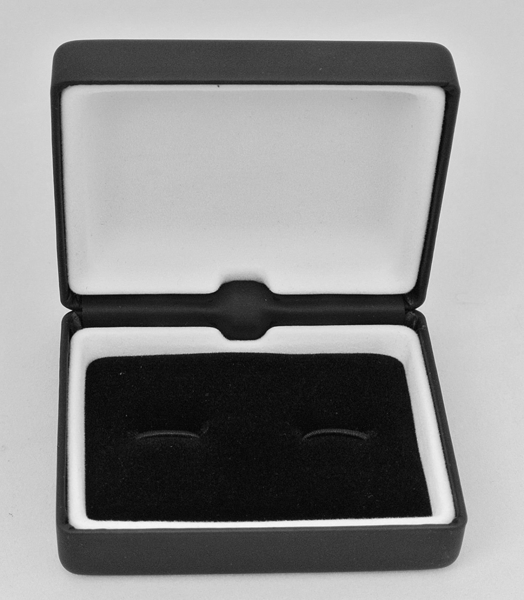 All of our high quality tie clips are precision laser engraved by our expert team of engravers with a very quick turnaround time. 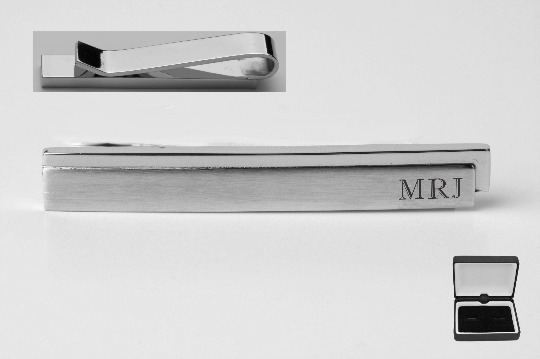 Tie Clip Dimensions: 2.25" x 0.3"